Roger Somers rarely built to code, as evidenced by this house constructed around a tree on the mountain. Such quintessential 60's radical homes are decaying back into the mountainside. 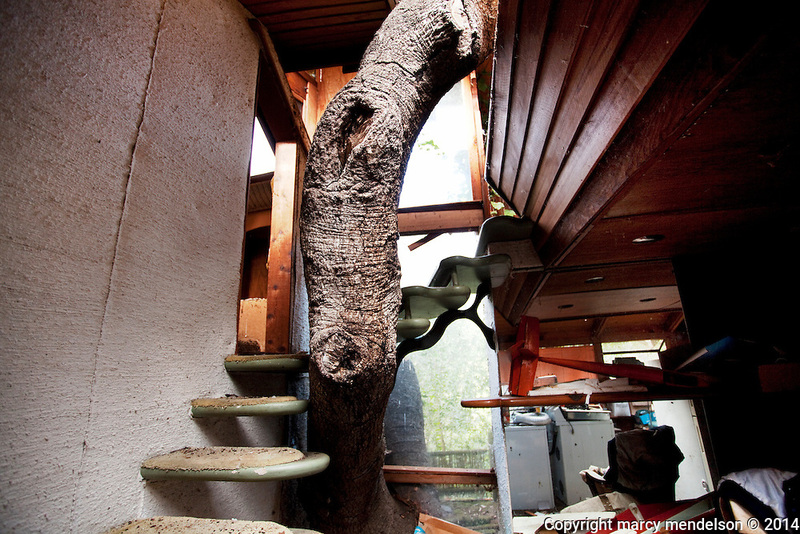 Holes in windows, vermin droppings and birds now fly about the detritus left in the interiors of these once quirky, creative homes that housed the height of bohemian California.